Everybody Everywear wears sequins and sparkles and so do I! Dressember 10 was sparkle Saturday so I combined it with the EBEW challenge. (Though I'm sure this is not the last time I'm going to sparkle this month.) As I only have 1 dress with some sequin embellishment and it is currently lost in my closet (probably halfway to Narnia), I cheated again with a skirt, this amazing sequin skirt. 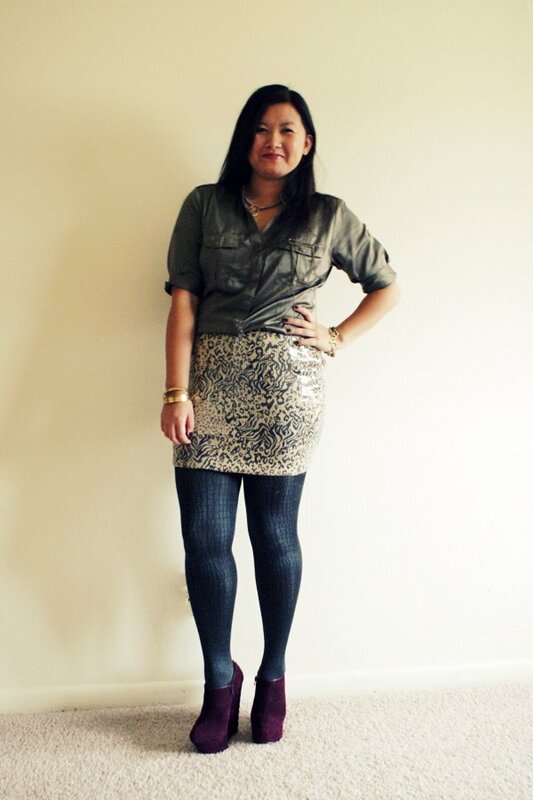 I paired this animal print sequin skirt with some shimmery crackle-effect tights, a silky olive miliarty-inspired blouse, my wine Pauline booties, and some tarnish metal jewelry. It has occurred to me that sequin skirt + tights is not the best idea...snags galore! 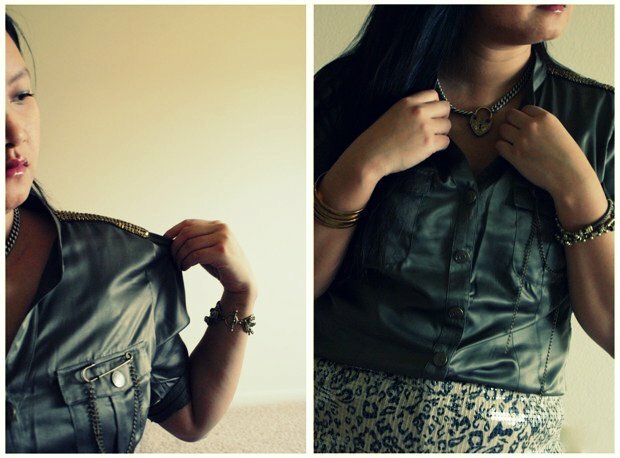 I love pairing tarnished metals with this military-chic blouse. It gives my outfit a more rock & roll feel. The epaulets on the blouse also have an oxidized metal look. My new favorite color combo is olive and burgundy, these wine suede booties are perfect with the olive blouse. p.s. 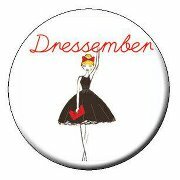 Be sure to check out my other Dressember outfits here (I'm a bit behind! Catching up soon, I promise!) as well as the other Dressemberists here. Also, more sequins and sparkles from EBEW challenge participants here. p.p.s. Don't forget to come to my Holiday Cyber Party!